Can You Hear Me Now? | What Would The Founders Think? That would be James Madison calling. The man remembered as the father of the Constitution also bequeathed some cautionary words about how liberty is lost. In seeming defiance of the Founders’ wisdom this administration has aggregated power, perhaps believing that in its omnipotence it will prove history wrong. The executive branch deliberately breaches constitutional prohibitions of concentrated power. It has assumed legislative authority and politicized the Justice Department, turning the lady with the scales into a harlot. Commentary magazine on line (7-12-13) provided a few examples. Examples include (but are not limited to) unilaterally delaying implementation of the Affordable Care Act’s employer mandate, issuing health-care edicts that undermine the Religious Freedom Restoration Act, making unconstitutional “recess appointments” to the National Labor Relations Board and the Consumer Financial Protection Bureau, refusing to enforce current immigration laws related to illegal immigrants who were brought to America as children, and waving welfare work requirements. This is all part of a pattern in which Mr. Obama enforces laws he likes and refuses to enforce (or unilaterally alters) laws he disagrees with. I suppose the temptation to act as a potentate is understandable; but it also happens to be illegal. The president, after all, has the constitutional duty to “take care that the Laws be faithfully executed” (see Article II, Section 3 for more). In just the two months since the court of appeals’ mandate was issued, . . . the Board has issued more than forty published decisions (more than one hundred altogether. Which is to say it continues to harass companies who must spend dollars and hours trying to defend themselves against illegal NLRB rulings. The Obama administration has perfected the tactic of intimidating opponents, and in the case of the NLRB, doing the bidding of favored constituencies. That government agencies exercise political bias is not news to conservative and religious organizations targeted by the IRS. 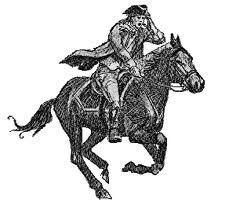 For these groups, James Rosen, AP reporters and the many others still silent, Madison’s 237 year-old warning has immediacy. The Weekly Standard (6-24-13) reports more abuses of power are lurking in the shadows where they are likely to remain. It is improbable the MSM will shine any light unflattering to the president. The public now knows that former Environmental Protection Agency head Lisa Jackson conducted agency business using an email alias as a shield against Freedom of Information Act requests. Less well known is that EPA compliance with FOIA requests and the amount of agency fees for complying with requests, depend upon the political orientation of the groups making the requests. The agency denied 18 out of 20 FOIA requests from the Competitive Enterprise Institute, a free market think-tank, while approving the vast majority of requests from green groups…the EPA declined to waive fees for FOIA requests from CEI and the American Tradition Institute 93 percent of the time. Green groups got their FOIA fees waved 92 percent of the time. Considering that it’s not unheard of for FOIA fees to reach six figures, that’s no small matter. Now comes an allegation by Judicial Watch that the Community Relations Service, a little known agency within the Department of Justice, sent staff “to foment unrest, spending thousands of taxpayer dollars on travel and hotel rooms to train (Trayvon Martin) protestors throughout Florida.” At this writing the culpability of CRS is being argued, but the point of its mention here is that in the present politically charged climate, the charges seem so credible. This blogger took heart from the news thinking it signifies a political awakening but a wise friend cautioned that, distrust not withstanding, so long as uncle Santa dispenses gifts, votes will follow. The very size of government makes it unaccountable. According to Fox News and the Washington Post, an agency created in 1937 to protect impoverished farmers by controlling the supply and demand for dried grapes is still alive and well. The law established the Raisin Administrative Committee – a name that invites giggles although screams are more appropriate – to set prices for raisins by determining how much of the crop will be sold domestically. The committee, overseen by the Department of Agriculture, takes a portion of each year’s crop without compensating farmers, and is allowed to sell some of the raisins it collects. According to The Washington Post, The sale generated over $65 million in one recent year. 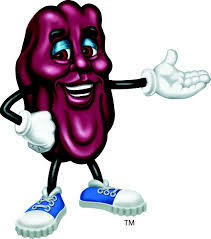 it was all brought to public attention by an obscure California raisin farmer facing in excess of $650,000 in fines for refusing to continue tithing to the US government. Marvin Horne of Raisin Valley Farms has been defying the Depression-era law since 2002. He owes the government 1.2 million pounds of uncompensated raisins, about the size of a four-year harvest. Horne told the paper, “The hell with the whole mess. It’s like being a serf.” He is now attempting to overturn the program that his lawyer defined as “basically theft” and in violation of the Fifth Amendment, which prohibits private property taken without just compensation. If he loses his case he is bankrupt. And the beat goes on. Despite sequester austerity (no more White House tours for the kiddies) HHS can find money to propagandize for the foundering Affordable Health Care Act. The Act is rapidly being revealed as unaffordable and so convoluted and complicated that it is doubtful if it can be implemented as written. A modest estimate is that Obama Care has spawned 10,000 pages of tiny regulatory type. A 2000 plus page monstrosity, the Senate immigration bill, is approaching passage. If it becomes law it will certainly produce another deluge of regulations. Perhaps Harry Reid will argue that the immigration bill must be passed to find out what is in it. It worked before. It’s worth noting that no raisins were harmed in the writing of this article. One wonders if whether the government is doing enough for the lowly raisin should be a major issue in the 2014 campaign. Perhaps a coalition of Senators (Gang of Grape?) should draft some legislation to adequately address the issue. The Raisin Administrative Committee is even now setting goals for the next 5-year plan.